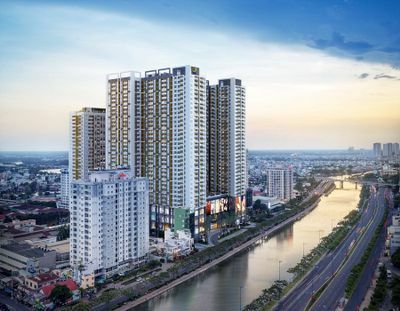 MY KHANG BUILDING PROJECT My Khang building is located in front of Nguyen Luong Bang Avenue, Saigon South area, which brings you and your family a modern, comfortable and spacious living environment. 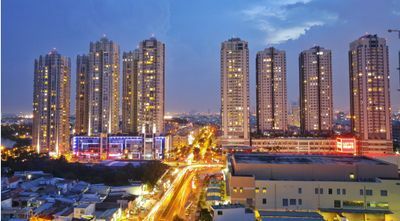 My Khang is actually a suitable choice for Expats has their long-term living. 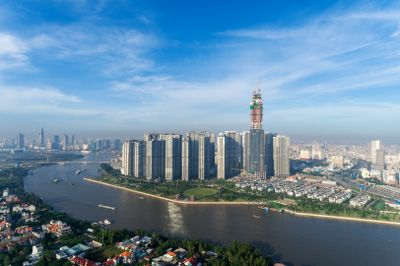 The overall My Khang building project: - My Khang building has a size of 2800m2, the total floor area of 15,600m2 including 2 towers, 13 floors, 88 apartments. 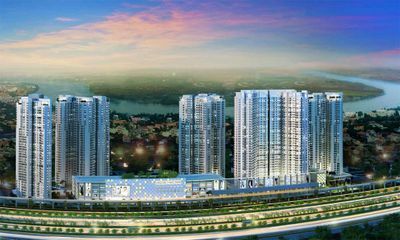 - Phu My Hung Limited Liability Company is the investor of My Khang building project. My Khang has many years of experience and prestige in the real estate industry. - My Khang apartments are designed with simple layouts and lines. Each apartment consists of a living room, dining room to create a cozy feeling. Especially, the bedroom is exposed to natural sunshine and wind. Besides, My Khang Apartment provides its residents with many internal amenities for convenience and comfort: - Outdoor swimming pool, gym, children's playroom... - A video intercom that helps the owners identify visitors to their homes - A water pump station that ensures the operation of fire-fighting equipment - A basement for cars and different means of transport of the population - The advanced waste treatment system always that ensures the clean environment and clean living space - The project has high-speed elevators for moving within the building. - 24/24 security thanks to the camera system installed at the door -Fully telecommunication system, internet, fiber optic cable The My Khang building project has also external convenient facilities. This project is close to educational systems such as: +Bong Hoa Nho Kindergarten + Canadian International School System +Canadian International Bilingual School +Canadian International High School +Super Youth - Foreign Language College +American International School of Kindergarten +Le Van Tam Primary School +Thien Phuoc Foreign Language School... Noticeably, My Khang residents can conveniently access to medical facilities such as: Phu Thuan Ward Medical Station, Phu My Medical Station, American Eye Center, Saint Luke Medical Center, Nha Be District Preventive Medicine Center, Phuc Duc General Hospital, Nha Be District Hospital, Tan Phu Ward Medical Station, District 7 Hospital, Preventive Medicine Center District 7, Binh Thuan Ward Medical Station, Tan Thuan Dong Ward Medical Station Nha Be District ... More remarkably, My Khang Building is located at Nguyen Luong Bang Street, Tan Phu Ward, District 7, Ho Chi Minh City. From My Khang Apartment, you just take: - About 11km drive to District 1 - About 7km away drive to District 4 My Khang will be your advisable choice for both the convenient space for living and the reasonable price demands in your long-term living.